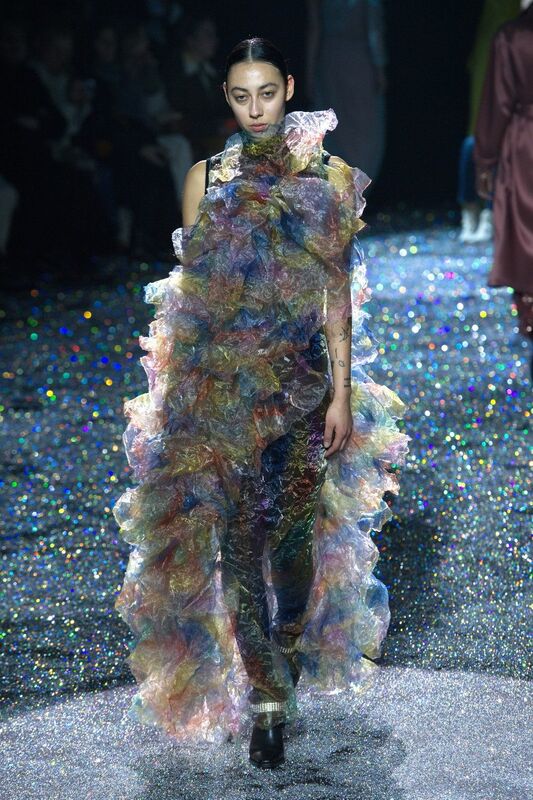 For Sies Marjan's fall 2019 collection, Dutch creative director Sander Lak covered the entire runway area in thick, sparking Swarovski crystals. It wasn't that unusual for the designer — Lak has an intense affinity for color and texture and how the two often intertwine. Here's everything you need to know about the show. 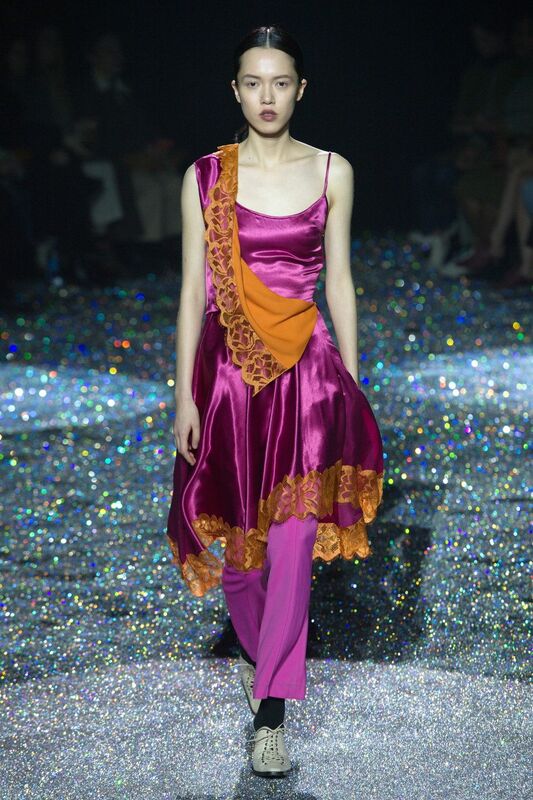 Sies Marjan showed silky slip dresses for fall 2019 — but not in the way you think. 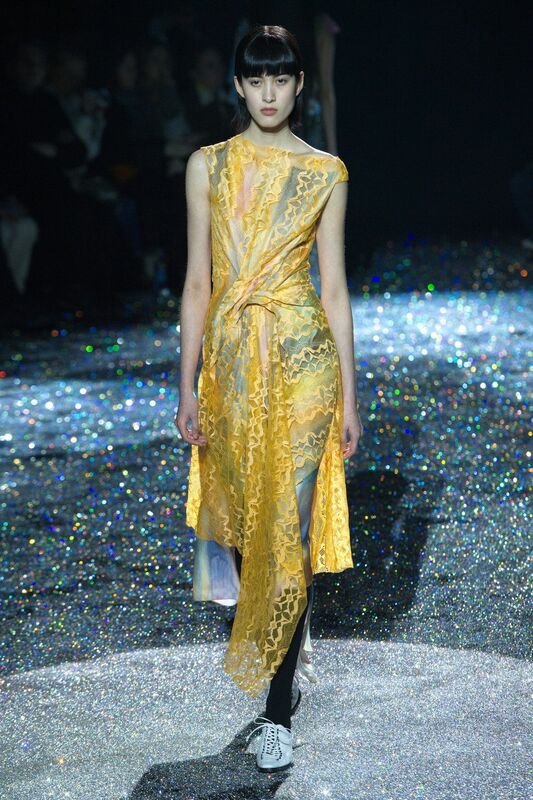 Each one was draped with artistically placed fabrics trailing from the waist to the shoulders. Other lace dresses had collage-like collections of different colored textiles on the hemlines. 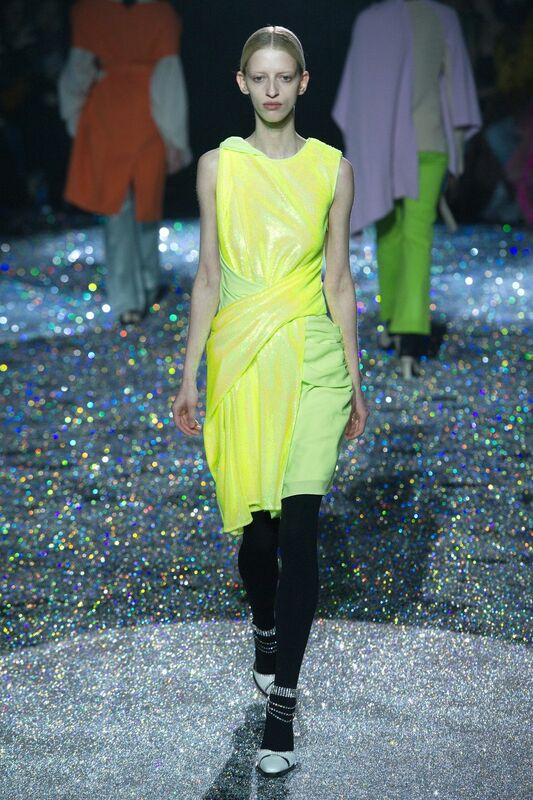 Several of the most stunning looks from the collection came in neon, highlighter shades of yellow and green. 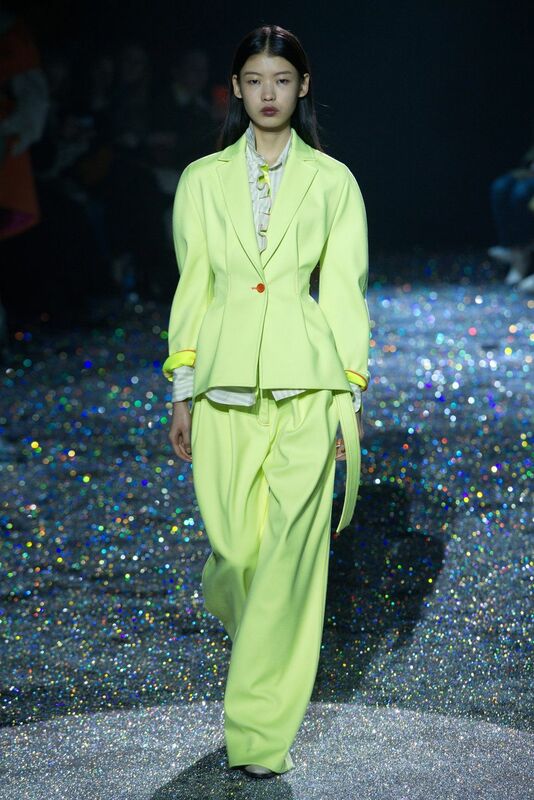 One sculpted suit seemed to glow against the backdrop of the dark glittery runway. Other neon pieces acted as the primary layer underneath navy and neutral dresses. This collection was definitely about layers and the different ways fabrics can be separated and individualized in a single garment. Rich and textural garments that were almost sari-like in appearance were constructed from multiple fabrics and twisted for texture. Last season, white iridescent jacket and bags that shifted to purple, blue, pink and silver under the light stole the show. Sies Marjan brought back that effect in a different way. One of the highlighter dresses had pieces of metallic iridescent fabric on it, and another green and purple dress had some shine to it. The last two looks that closed the show were a cloud of pastel rainbow chiffon. Both seemed to float down the runway.